Called Astra, the new Arm-based system will sit at the National Nuclear Security Administration. The Sandia National Laboratories area getting the world’s largest Arm supercomputer, thanks to a joint effort with HPE and the US Department of Energy. Called Astra, the new Arm-based system will sit at the National Nuclear Security Administration (NNSA) and run advanced modelling and simulation workloads in things like national security, energy and science. According to HPE’s press release, the new machine can deliver more than 2.3 theoretical peak petaflops of performance, 33 per cent better memory performance and greater system density. The NNSA will be able to use the machine to advance modelling and simulation tools, and to improve analysis on data-intensive science experiments. Astra will run on the HPE Apollo 70, it was said. It sports 145,000 cores in 2,592 dual-processor servers. 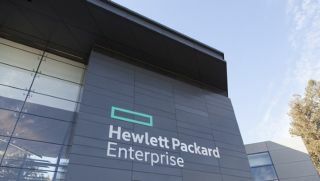 According to HPE, there’s an ‘insatiable’ demand for higher compute performance, as organisations all over the globe look to run research-intensive tasks that require processing and analysing large sets of data. Hardware manufacturers are thus looking to achieve the next leap in supercomputing with an exascale-class system.